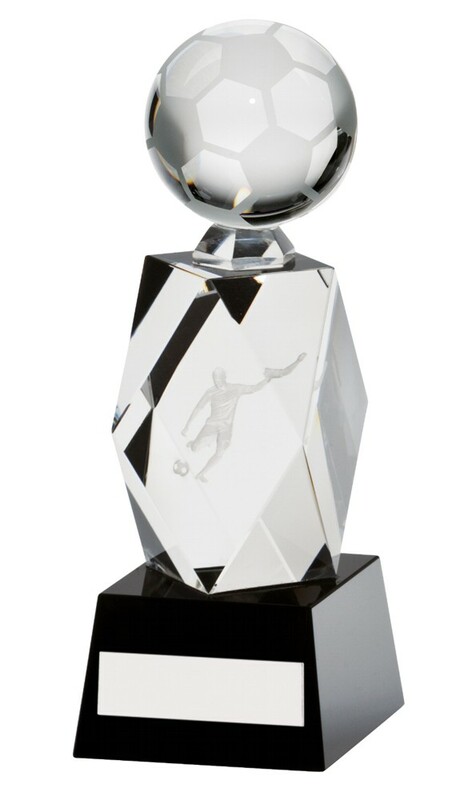 The Astral Crystal football trophy. There is a 3D football figure inside the crystal with a football on the top and it is mounted onto a black base. Available in 3 sizes 180mm, 195mm and 220mm high.